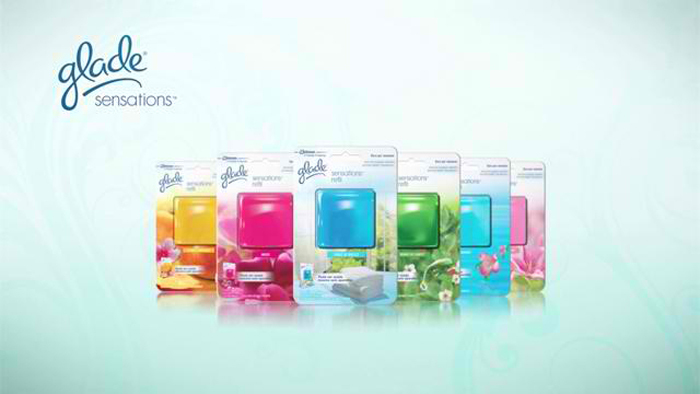 A Breath of Fresh Air: GLADE Sensations! I have an overdeveloped sense of smell. If I were to become a super hero I think my power would be connected to that. I can smell "baktol" from miles away, or a dead rat or socks that smells like dead rat. There was this one time when I attended the Philippine Fashion Ball and I wore a gorgeous designer gown with an unfortunate underarm odor problem (coz of the fabric). I tried everything to eliminate the odor so I had it dry cleaned (twice! ), but the smell didn't go away. I still ended up wearing the dress but I was so conscious and paranoid the whole night. I had to drag Aie outside every hour to blow cigarette smoke to my armpits just to neutralize the smell. Success naman in fairness pero super laughtrip! Haha. I'm allergic to perfumes but I can't leave the house without spraying on my favorite scents. Even my alcohol smells like cologne (I don't like strong smell of rubbing alcohol) and I have spare colognes in the car, even in my styling kit! I also have lots of sprays in the house, for the kitchen, bedroom, linens, etc. So when I was offered to try the Glade Sensations Bathroom line, I said yes in a heartbeat! This Glade Sensations set came with a Lavender refill! Glade Sensations Bathroom utilizes the concentrated gel of Glade Sensations Refill that's capable of eliminating smelly odors lingering in your bathroom. It releases a nice and long-lasting fragrance that will bring a smile to your bathroom for up to 60 days. O db convincing! So of course when I got my package, I opened and tried it agad agad! It's also because I am Miss Curious. Haha. The bathroom set was so enticing I took a bath and a dump (TMI!!! and record yun bilang minsan lng yun mangyare wahehe) just to try everything. Aprub! So easy to use too. Just peel off the refill pack's cover, slide it in the holder with the gel facing the holes (obviously hehe), then stick the holder to the wall or hang it. Simple! Decided to first try Ocean Fresh bilang 0 (zero) beach trips pa din this summer. Closest to going to the beach at this time of kabusyhan! Love the smell! Plus, when I open the bathroom door it could freshen the WHOLE apartment. Swear. I have to close the door to contain it. It's a good thing though. Now I don't have to worry na if there are visitors coming over (my shoe racks are by the door kasi) and I won't have to spray anymore. Glade has every corner of our house covered! *Glade is the leading brand of air freshener being sold in various territories worldwide. Its family of products includes household and car air fresheners. Glade is a product of S.C. Johnson. S.C. Johnson is a leading FMCG company engaged in the manufacture and marketing of household care products.